The property comprises a three-storey brick built building with pitched slate roof. 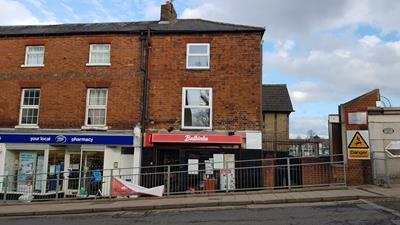 The ground floor is laid out to a shop which is occupied by a Polish Supermarket. The space includes WC and store, suspended ceilings and large display window. The property benefits from A1, A3 & A5 planning consents. The upper floors are laid out as a two bedroom flat which comprises lounge, kitchen, two bedrooms and bathroom.